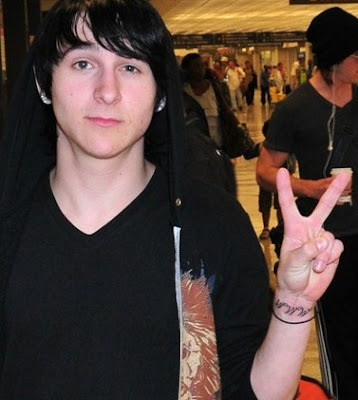 Mitchel Musso flashed a peace sign while walking through Ronald Reagan Washington National airport on July 1 in Washington, D.C. We LOVE the tattoo on his left wrist! July 3rd: Signing autographs at the Disney Store on Michigan Ave. at 6 P.M.
Mitch hopes to see you there! The video below shows Mitchel Musso rapping Cheese Jerky, his famous rap from Hannah Montana. hey what does his tattoo say?